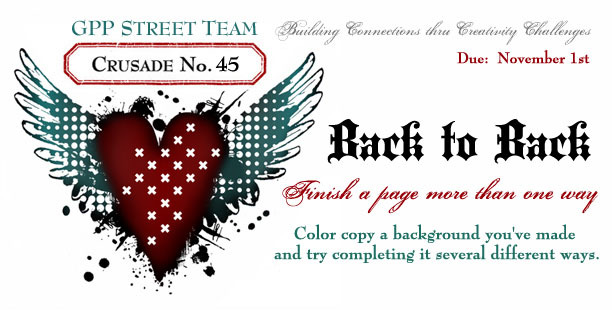 I haven’t played with Michelle Wards GPP Street team in a while, just too much going on, but when I saw what the challenge is this month via facebook, I just had to join in because I’d already done the work! 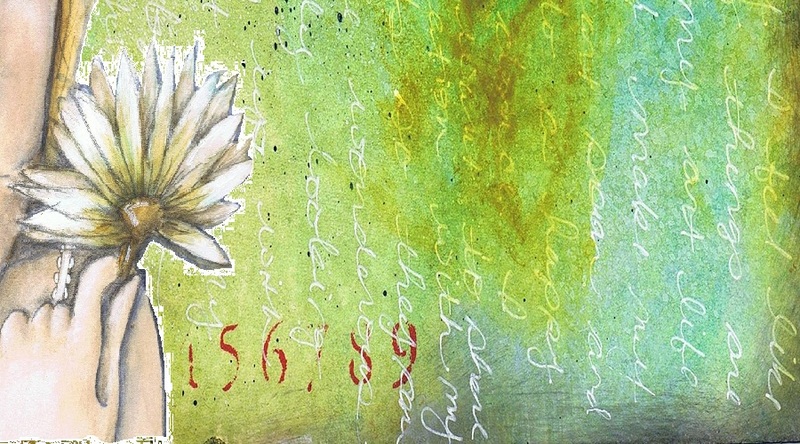 This is such a fun process and one we explored in Lesson 4 of Journal 365. 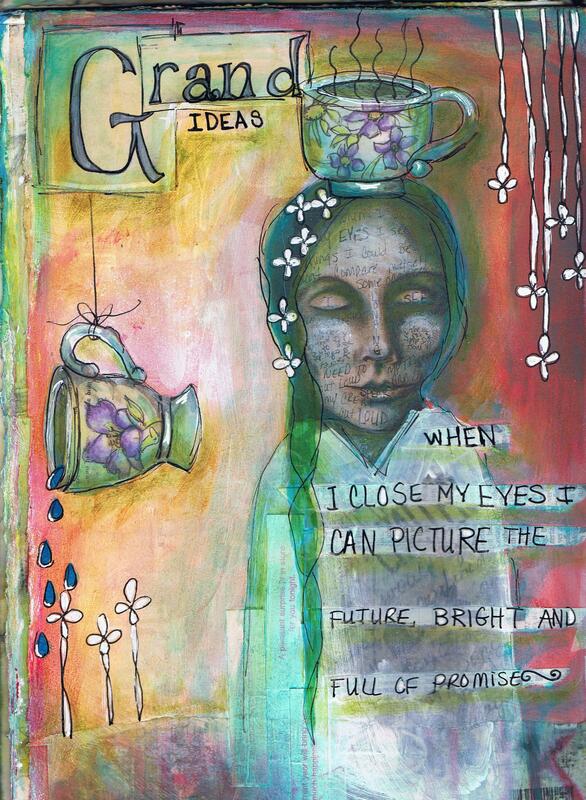 Michelle’s challenge takes the idea even further, taking your journal pages to another level. Check out Michelle’s challenges, they are always so much fun and a great way to stay motivated and inspired! Great pages, love the greens. And I love the font you are using – easy to read without being plain. Love the colours and images that you used in your work. It is beautiful. It is great to see how you reuse your journal pages. Making copies gives such a lot of possibilities. I love these pages. I am going to try this too. The sky is the limit I guess right? I love the blue/green and green layouts – so tranquil! 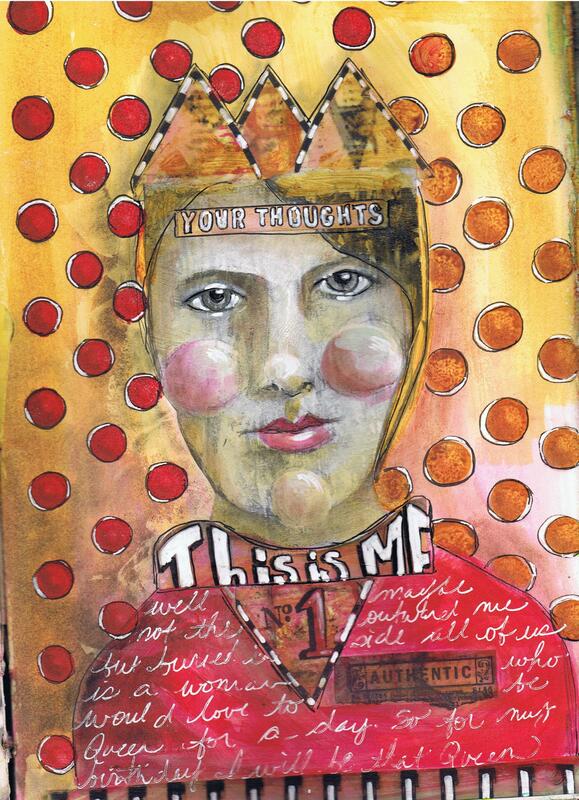 What fun to see how y ou put this fantastic piece together by re-using some of your journal pages! Pam, your pages are beautiful! 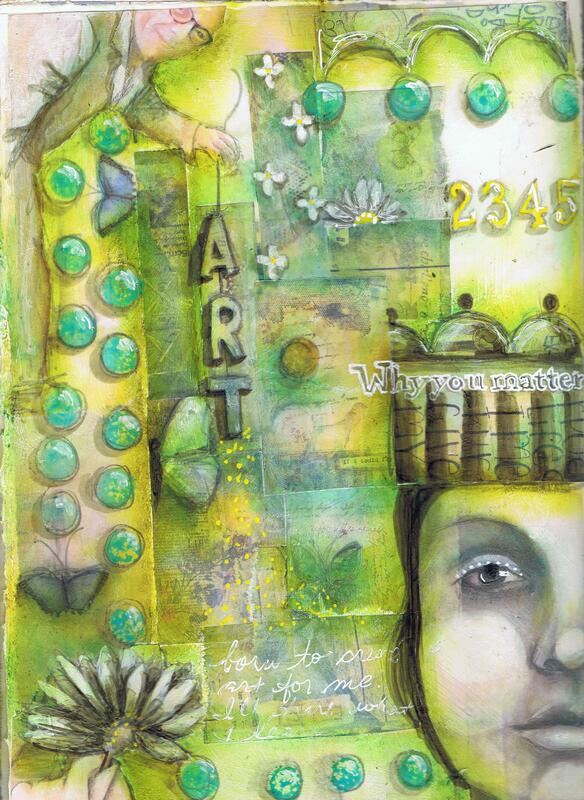 I love how you have used material from other journal pages and blended them together with the pastel – it’s so effective. Thanks for the inspiration! Beautiful, just beautiful Pam…I love what the process made you bring out. I love your drawing and this collages. So inspiring and bold in colors. I’ve register myself in your online class. 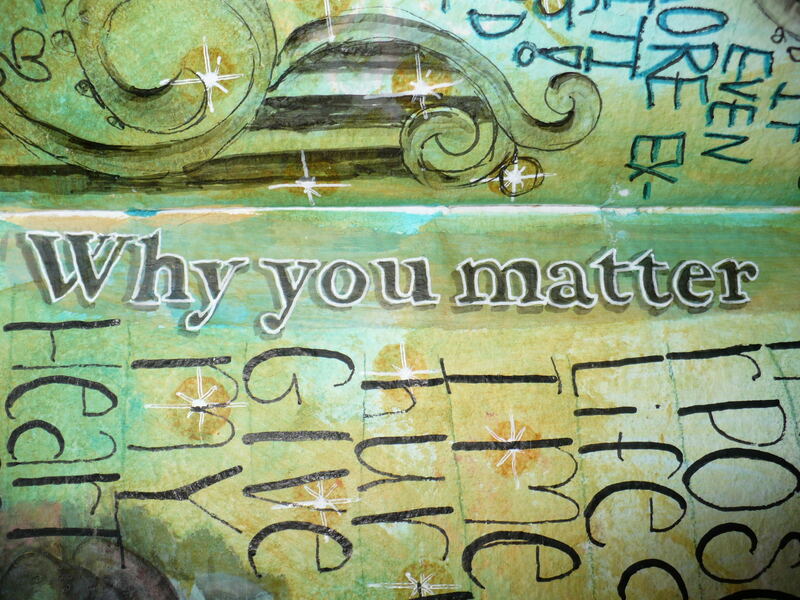 Your pages are gorgeous – they have so much depth to them. I’ve never thought of using copies or pieces from a previous page – love how your pages are so different from the original. Thanks so much for the heads up on the classes that you’re doing with Strathmore. I signed up today. I also mentioned it on the Yahoo group theartjournal. Pam; this is ironic because yesterday I decided to take the leap and join in Michelle’s Street Team Crusade #45, too! 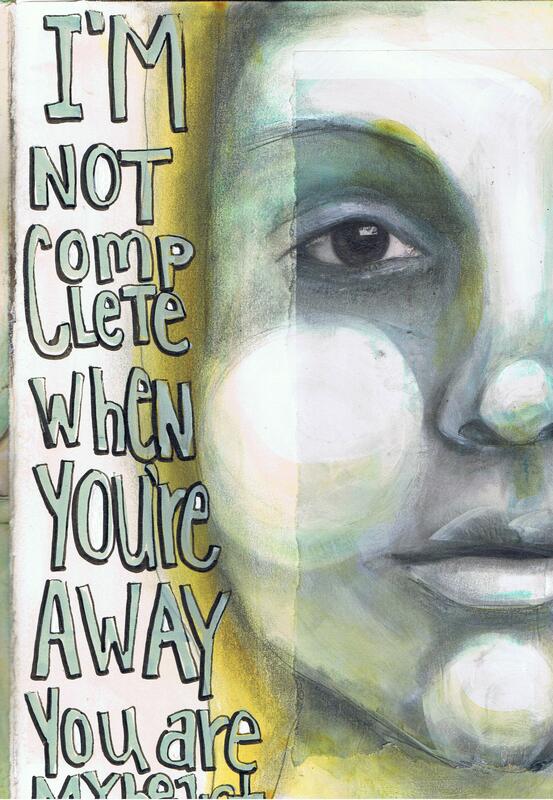 I’ve been “lurking” on her site for so long and loved the idea of using existing work and it was so close to the Lesson you introduced in Lesson 3 of your Journal workshop. Fun! I love what you did here! Thanks so much for showing the pages you used to create your fabulous work. I am fascinated by processes and inspirations; it opens up a new appreciation for a piece when the artist shares the behind-the-scenes info. Love your pages!